Our MLS members can show at the top of each one of their listings, with their name, picture and phone number, making it easy for potential buyers to make contact. In addition to appearing above any other salesperson in the area, our members can also feed branded virtual tours and get a link back to the listing on their own website. 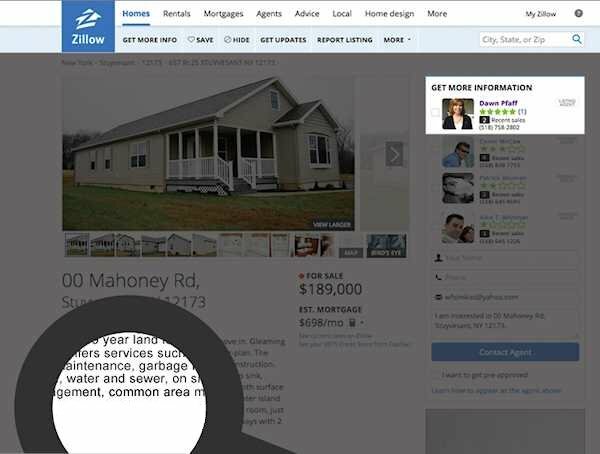 To appear at the top of your listings on Zillow, simply make a free account on Zillow and be sure to use the same email address on the MLS that is used on your Zillow profile. This will automatically connect agent's listings to their listing on Zillow.